What Were the Very First Christmas Songs? Blog What Were the Very First Christmas Songs? This Christmas dive deep into the beauty of the very first songs to celebrate the birth of the Lord Jesus. 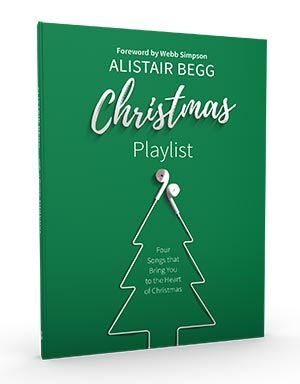 In his book, Christmas Playlist, Alistair Begg offers us a wonderful respite from the hustle and bustle of the Christmas season by inviting us to enjoy the lyrics of the songs sung at Christ’s birth. Mary, Zechariah, the Angels, and Simeon give insight into what God is like, why we need Him, how He came, and how He accomplishes His purpose in the Lord Jesus Christ. Purchase a copy of Christmas Playlist.